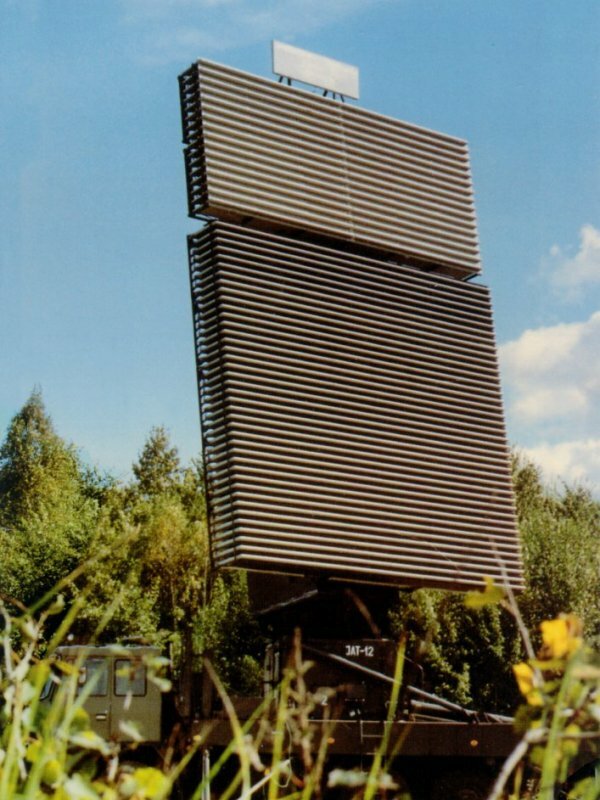 This long range 3D surveillance radar operates in D-Band. It automatically detects and tracks up to 120 objects up to 350 km in range and up to 40 km in height. This radar produces three coordinates (range, azimuth and height) of targets. 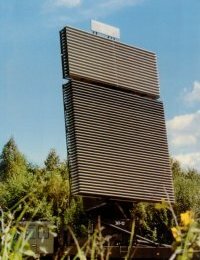 The planar array antenna forms a cosecant squared transmitting beam and 8 stacked beams for receiving. The azimuth scanning is archieved by mechanical rotation of the antenna. The hight estimation is archieved using the monopulse method. The transmitting pulsewith is 20 µs and linearly frequency-modulated (LFM). By the pulse compression the echo signal is compressed to 0.4 µs. TRD-1211 radar consists of three main units and a mobile power station. They can be transported using any trucks adopted for the transport of typical containers accordingly to the ISO standards. The TRD-1211 is a source of information for the air defense system. It provides information about the controlled tracks, witch are sent through digital links of medium speed (radiolines and telegraphic lines) to the CRC.